Sixteen-year-old Terron Pool will stand trial as an adult for the murder of Rahmel McNeil, a Sumner High student and captain of the school's football team gunned down September 24. According to police, the shooting occurred around 1:19 in the afternoon after McNeil became involved in a fist fight in the 4000 block of West Belle Place. McNeil and a friend were walking away from the scuffle when he was shot multiple times, allegedly by an onlooker of the fight. Six days after his death police announced that they'd arrested a 15-year-old suspect. That suspect is presumably Terron Pool, now 16, who police say has been held as a juvenile in connection to the murder. 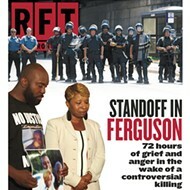 Yesterday a St. Louis Circuit Court judge certified Pool to stand trial as an adult and ordered him held without bond. 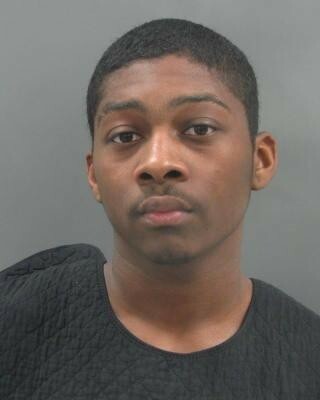 Pool, of the 3600 block of Russell, is scheduled to appear at an arraignment hearing this morning. He's charged with first-degree murder and armed criminal action. Correction: This post initially stated that Judge Michael Stelzer certified Pool as an adult. That is incorrect. Stelzer set the bond. Judge Calea Stovall-Reid certified him as an adult.